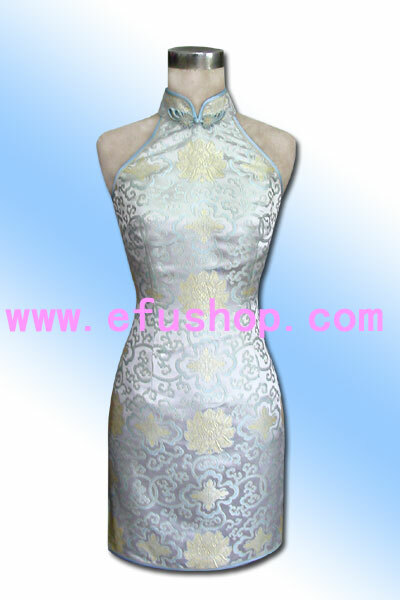 name: Fine quality handmade chinese improved cheongsam(Qipao)Description: Improved cheongsam dress, mandarin collar with phenix button. Blue single piping. Expose the shoulder and back. Knee length. Fine tailoring, will fit you well!